A new partnership to help tackle domestic abuse in Northumberland has been launched. Places for People Living+, commissioned by Northumberland County Council, brings together existing services, including a refuge and independent domestic violence advisors for high risk service. There will also be a confidential 24-hour helpline and outreach to female and male victims of domestic abuse. 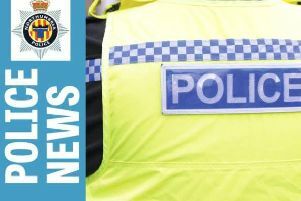 There has been an increase of 9.4 per cent in police reported incidents of domestic abuse in Northumberland in the past year, with more than 5,500 reported incidents in the county between April 2017 and March 2018. Claire Bailey, area manager for Places for People Living +, said: “Anyone can be a victim of domestic abuse and we are fighting to end domestic abuse against men, women and children in Northumberland. “We want people in the county to know they are not alone and we can help. Northumberland County Councillor Veronica Jones, cabinet member with responsibility for health and wellbeing, said: “The council is committed to protecting and supporting the most vulnerable members of our community, but because of the complexity of domestic abuse it cannot be tackled in isolation. “This new integrated service, with a single point of contact, will offer specialist, confidential advice and support for men and women who are experiencing or are at risk of domestic abuse.